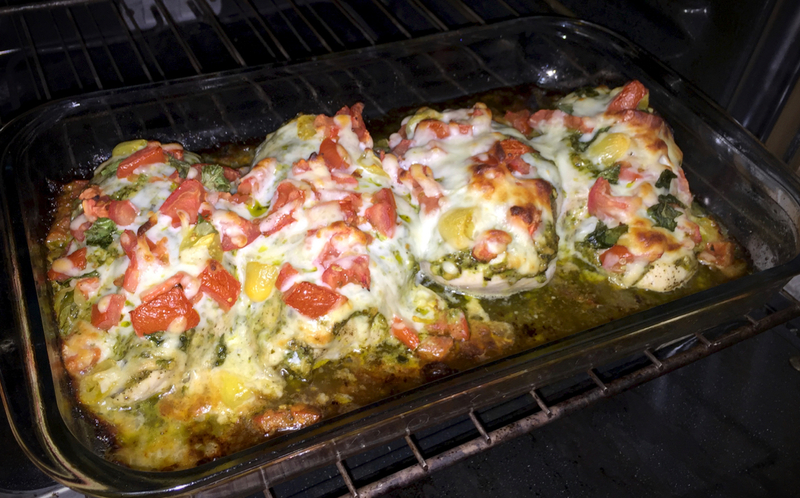 One of our easiest, and tastiest, chicken recipes is Baked Basil Chicken. The original recipe called for tomato slices. We re-imagined this quick-to-prepare dish by slicing the tomatoes into small pieces (see images at right). The result was a beautiful, and tasty, dish with all the wonderful flavor of the original recipe. 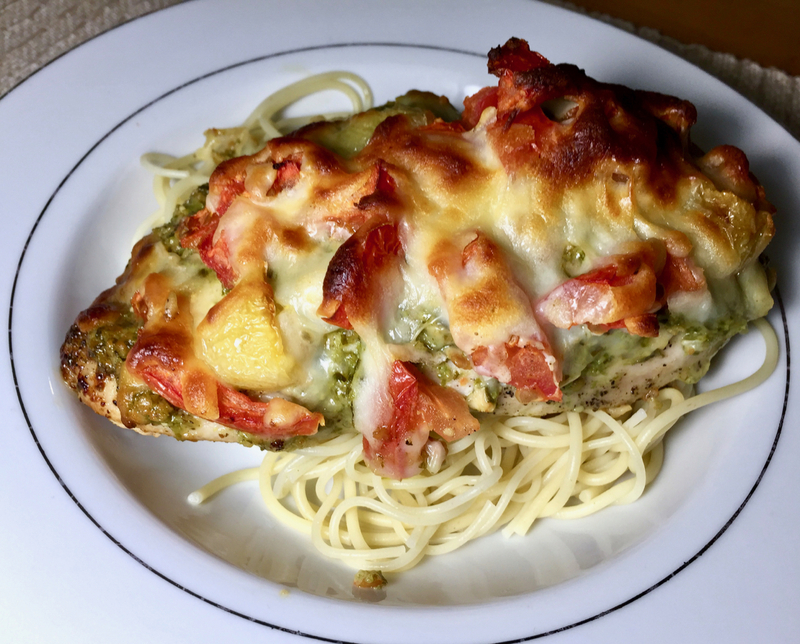 We hope you'll give Basil Baked Chicken a try. Nana welcomes visitors from around the world. We use measurement standards from the United States, but our Measurement Conversion page makes it easy to convert to worldwide standards. Some of our recipes feature pictures that visually describe each step in the recipe process. Check out Nana's "How-to Kitchen." Nana's Recipes has about 3000 Facebook "likes." We'd love to hear how you found Nana's Recipes — please post your story on our Facebook page. Check out our easy instructions to print individual recipes. Are you curious about where Nana gets her recipes, or who takes all the photographs? Read all about the inner workings of the Nana's Recipe website. Stay up to date with new additions to Nana's Recipes by adding your e-mail address to the quarterly "What's Cooking" newsletter mailing list. I promise never to share your address with anyone. We have a total of 282 recipes on the site. The Recipe Index alphabetically lists each recipe for easy access. Right now would be a great time to donate to this free website. Please click on the "PayPal Donate" button below to help support Nana. We thank you!